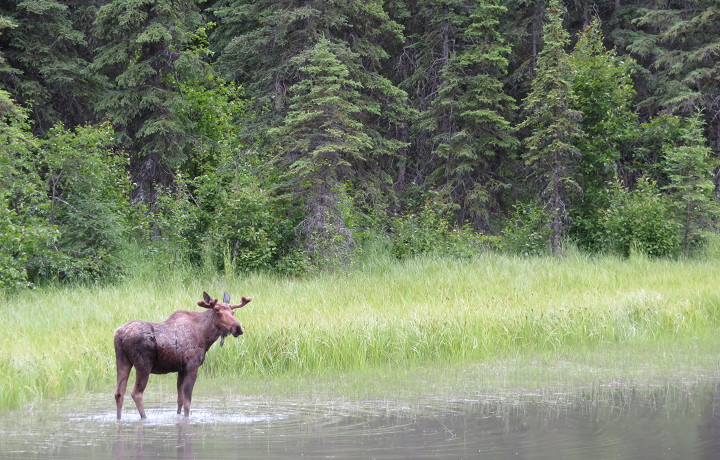 What do you think of when you hear the word “Alaska?” Wildlife? Incredible natural scenery? The Last Frontier? Adventure? Alaska is all that and more—the place to go when the same-old, same-old summer vacation just won’t do. The place you go to make once-in-a-lifetime memories and experience things you’ll never see or do anywhere else. Thinking of a trip to Alaska? Here are 12 incredible experiences you won’t want to miss. 1. Kayak with the otters and sea lions at Resurrection Bay. If you’ve ever stopped to watch the otters at a zoo or other park, you know what hilariously entertaining creatures they are. 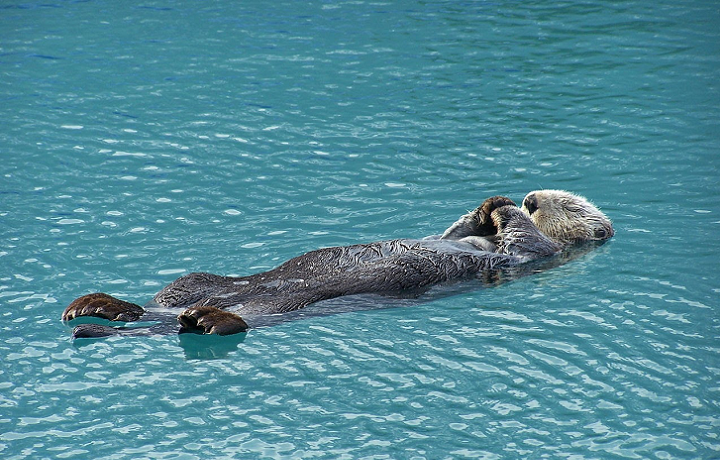 The Northern Sea Otters of Alaska are a breed apart—unlike the River Otters in the lower 48, these otters are huge and hearty. Males reach 5 feet in height and weigh up to 100 pounds! Imagine paddling your kayak among these clever water weasels as they frolic and feast on fish. And if that’s not enough, the waters of Resurrection Bay are home to a host of marine mammals including Steller sea lions, harbor seals, and a host of porpoises, dolphins, and whales. 2. 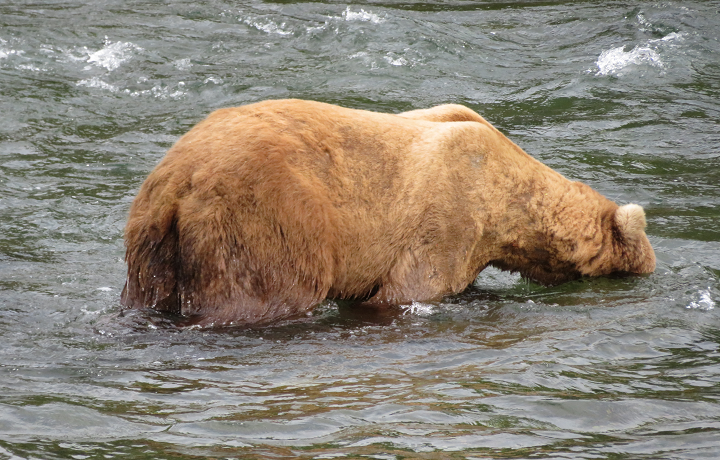 Watch the bears snorkel for salmon at Brooks Falls. Brooks Falls is famous the world over for its incredible bear-viewing. As many as 25 bears fish at one time, standing over the falls waiting for a salmon to jump into their mouth, or searching beneath the surface for the big juicy fish. Most people see their first bear within a few minutes of arriving at Brooks Lodge, the renowned inn just steps from the bear viewing platforms at the falls. You’ll never get a better closeup of Alaska’s brown bears, so this is a must do to add to your Alaska itinerary. 3. 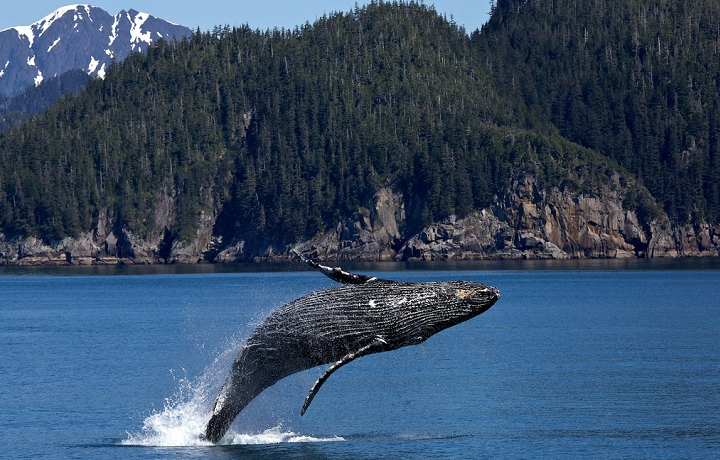 Go whale watching on a catamaran cruise of Kenai Fjords National Park. The waters of Kenai Fjords are famous for breaching whales—if you’ve ever wanted to go whale watching, it’s tough to beat Alaska. Humpbacks, orcas, fin whales, gray whales, and Minke whales all swim the waters off the coast of Kenai Fjords. Did you know a female humpback whale can reach nearly 50 feet in length and weigh 35 tons? They’re actually bigger than the males. Be sure to have your camera ready for your catamaran tour—you’ll want to remember every minute of the trip with plenty of snaps to show your friends back home. 4. Bike Anchorage’s Coastal Trail and search for moose. The Tony Knowles Coastal Trail starts just a few steps from Anchorage’s Copper Whale Inn, and you can walk or bike straight from the city to Kincaid Park. You’ll have incredible views of Cook Inlet and Denali in the background—and don’t be surprised if you encounter a moose or two on your journey! 5. Take a flightseeing tour over the Valley of 10,000 Smokes. In 1912, the massive Novarupta volcano blew her top and spewed incredible quantities of lava, ash, and gas across Katmailand. If that wasn’t enough, earthquakes rocked and rumbled the earth for a solid week. 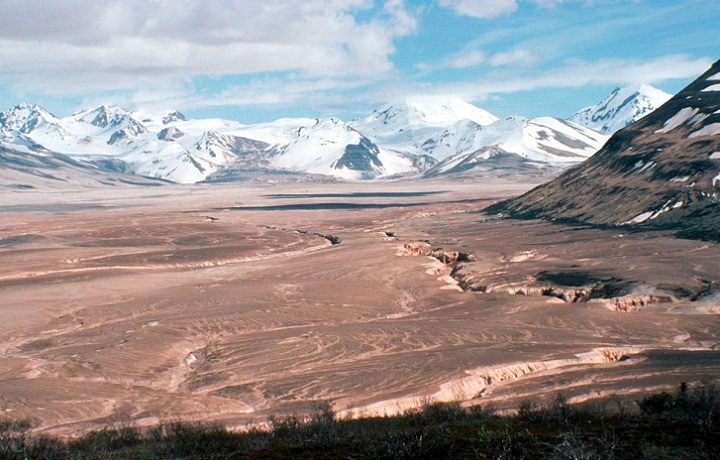 When it was all over, the largest volcanic eruption of the 20th century had changed the landscape beyond recognition, leaving thousands of smoldering steam vents across the valley floor. That’s how the Valley of 10,000 Smokes got its name. 6. Snap a perfect shot of bald eagles on the Kenai Peninsula. As you’ve already guessed, Kenai Peninsula is a wildlife lover’s paradise—but if you’ve got a passion for bald eagles, you’re really going to love it here. 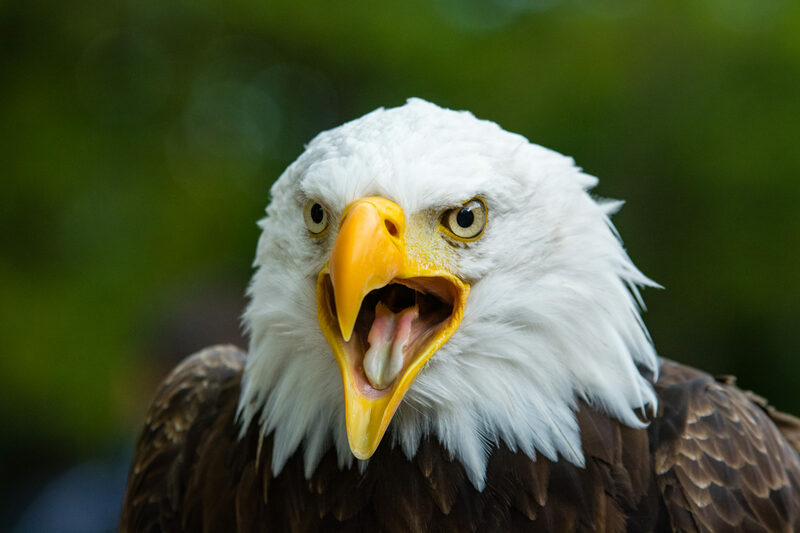 There are more bald eagles in Alaska than anywhere else in North America (about 30,000 of them, actually), and few places offer better eagle spotting opportunities than Kenai. 7. 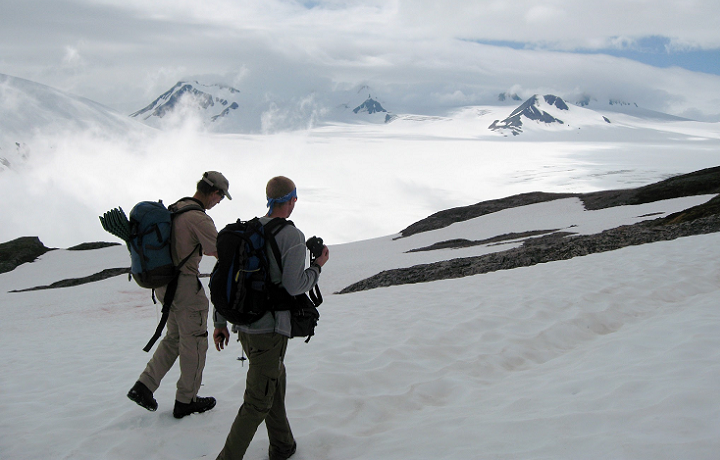 Hike the famous Harding Icefield trail. The Harding Icefield is a 700-square-mile hunk of frozen splendor, one of just four major ice caps in the U.S. You can hike a bit of the Harding Icefield Trail, famous for its incredible views of Exit Glacier terminus and endless horizons of snow and ice. If you’re an experienced hiker, you can hike the full 8 miles to the top to see the icefield in all its glory. You might even encounter mountain goats, black bears, and other wildlife. It’s considered one of the most exhilarating hikes in the country. If you’re not an experience hiker, there is another option. Walk the ‘Edge of the Glacier Trail’ also known as the lower trail. 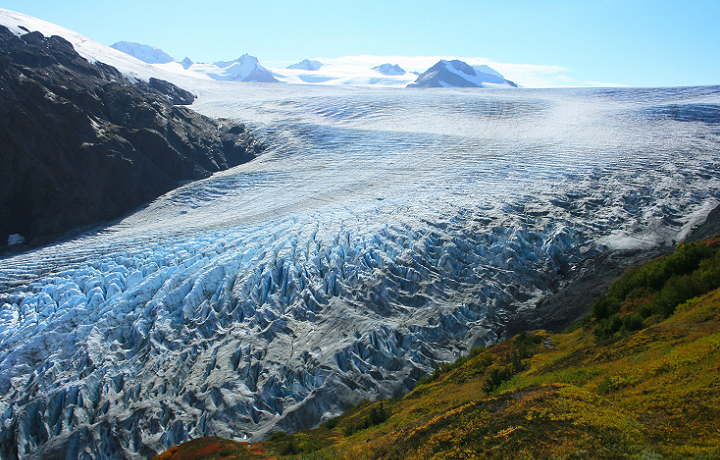 This short hike will give you a close up look at Exit Glacier, with some brilliant photo opportunities along the way. 8. 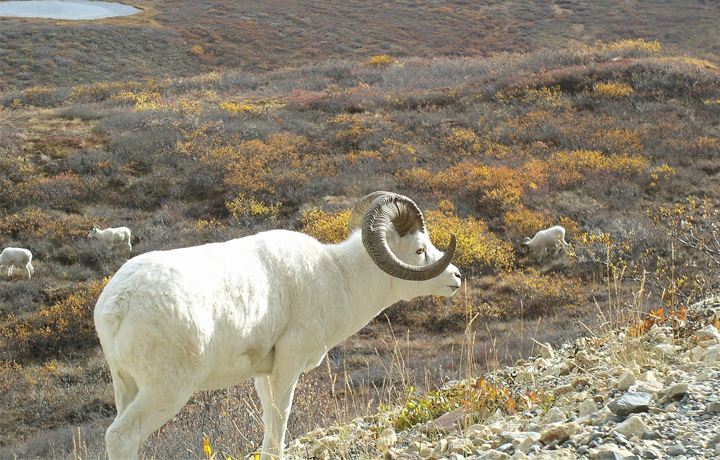 Spot grazing Dall sheep in the Chugach Mountains. Dall sheep are right at home in the Chugach Mountains. They’re accomplished climbers, able to scale the steep slopes and rocky ridgelines with ease. They sleep at high altitudes, 5,000 feet or more, insulated by their thick, white fur. If you’re lucky enough to spot them, you’ll be a member of a relatively small club. Dall sheep are only found in the remote parts of Alaska and northern Canada—they’re a very rare subspecies. 9. Touch the toe of massive Exit Glacier. How many people will ever get up close and personal to a glacier? Will see the massive wall of blue ice and the way its movement reshapes the landscape? Will walk the moraines made by the glacier’s movement? Exit Glacier is a bucket-list experience. It’s a small glacier, as far as glaciers go, but at 14 square miles, it’s still an impressive and awe-inspiring sight. 10. 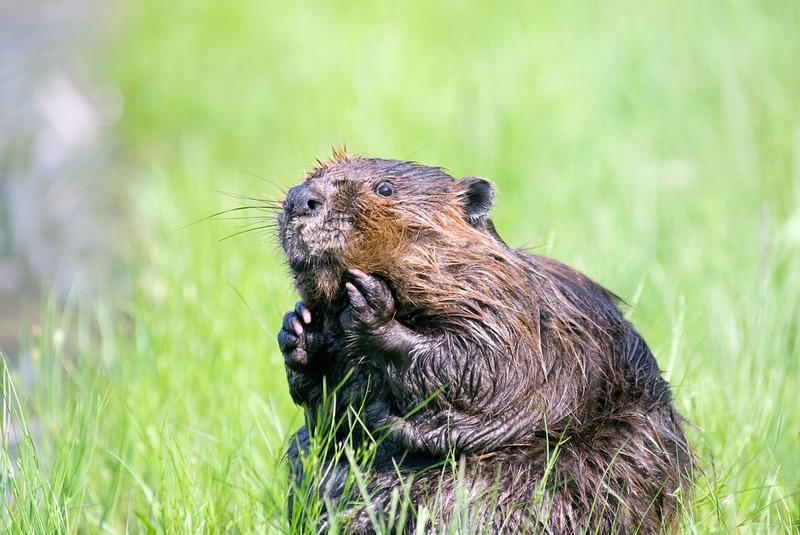 Watch the beavers build a dam in Eagle River Valley. Eagle River Valley’s impressive Nature Center is bounded by boreal forest and serves as the gateway to the Chugach Mountains. It’s crisscrossed by trails leading to streams and lakes and wildlife viewing platforms like the salmon deck and the popular beaver deck. It’s an idyllic and serene setting to see Alaska’s incredible wildlife, especially the industrious beavers laboring away on their construction. They’re an essential part of the Alaskan ecosystem. 11. Fly in a float plane over Katmailand. 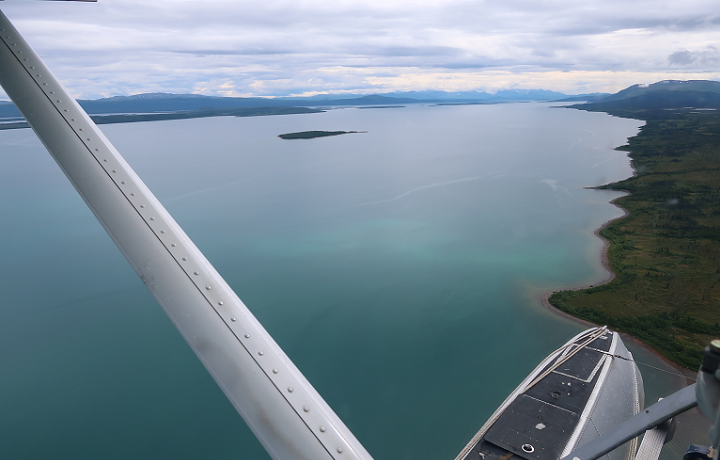 The trip to Katmailand from Anchorage via King Salmon is a surreal adventure, hovering in a float plane between the sky and the sea. It’s an experience you’ll never forget—and the perfect prelude to your visit to the bears and Brooks Falls. 12. 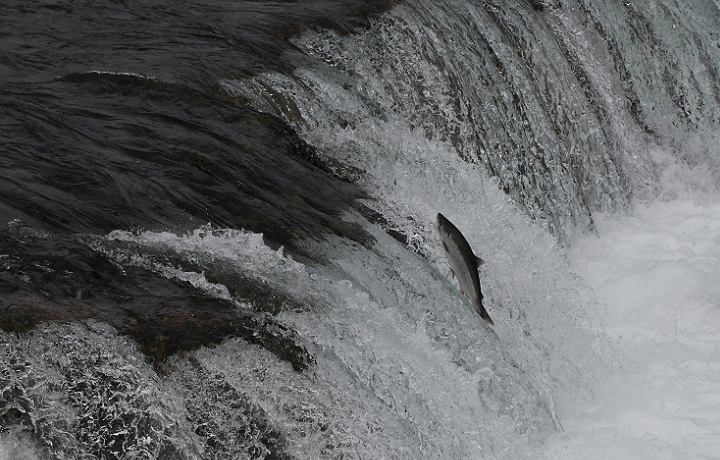 See the salmon run—and feast on a meal of fresh-caught fish. Alaska is the 9th largest seafood producer in the world and provides some 80% of the world’s salmon. The annual salmon run is a spectacle to behold—drawing bears, bald eagles and other natural predators to feast. This is a must do experience for every first time traveler to Alaska. The numbers are staggering: Fishermen have caught over a million fish in a single day. Salmon run season is a time of bounty in Alaska, and there’s nothing like filling up on the succulent, fresh-caught fish. Ready to get in touch with your wild side in Alaska? Our Alaska tours get you off the beaten path and into once-in-a-lifetime adventures you’ve always dreamed about. We’d love to help you see a whole new side of Alaska. Why not get in touch today and let’s put some plans in motion?